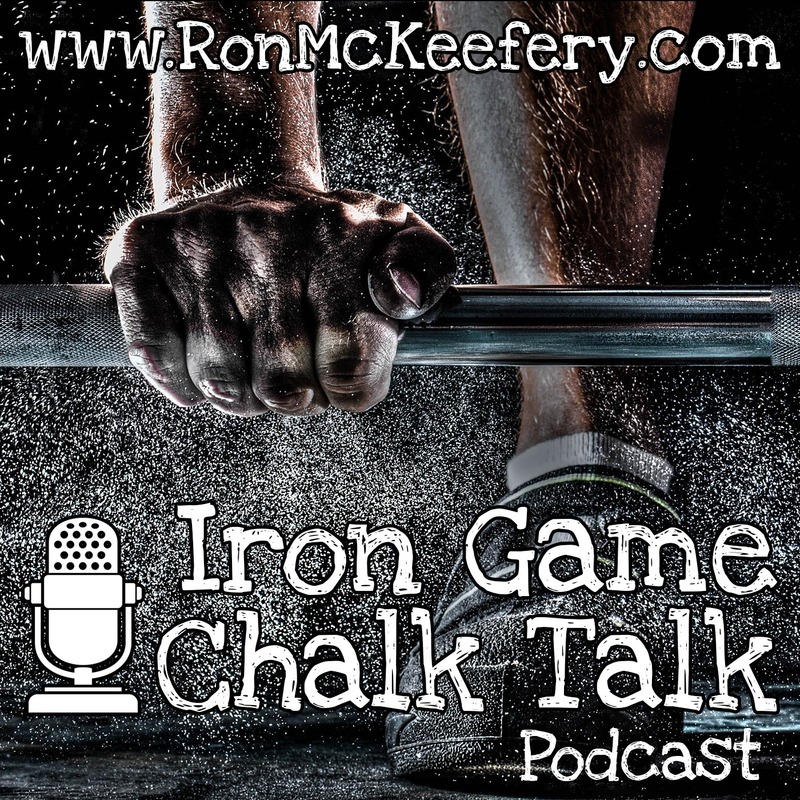 Ron McKeefery’s Iron Game Chalk Talk- Making the Strength & Conditioning profession better one conversation at a time. Jacques DeVore founder of Sirens and Titans Fitness. Jacques began his career in fitness training as an elite athlete. He has competed as a wrestler in both high school and college, in cross country, track, lacrosse, martial arts, and both mountain bikes and road bike races. His primary foundation of training was wrestling, which requires great functional fitness and a good understanding of body composition and nutrition. His experience and passion for exercise fueled his desire to focus on the science of strength and conditioning. Jacques is licensed by the National Strength and Conditioning Association as a Certified Specialist in Conditioning and Strength. He also coaches cyclists and passed the examination to be an Expert Cycling coach for USA cycling. Jacques also established a career outside of sports and fitness in the management of money and the trading of securities which requires extensive time and energy. Jacques was constantly struggling with ways to train that required minimal time during his regular travel. So, he developed short workouts, for himself, which provided superior fitness gains while on the road. Over 20 years ago Jacques took his deep exercise knowledge and his experience in business to become CEO of Vert Sports Performance center in Santa Monica where he also actively began training world class athletes, including football players prepping for the NFL combine, basketball players in the NBA, tennis, wrestling, grappling, track, baseball, and many other sports. Jacques decided to leave Vert and open Titan Sports Performance in Santa Barbara and created his own training center. Titan was the first sports performance center in Santa Barbara at the time. Over the last 15 years Titan has provided training to hundreds of athletes, teams, and individuals in Santa Barbara.. For all of Jacques life he has been a competitive athlete, coaching, and training other athletes and individuals on how to improve their fitness. He has not only trained others but is living proof of his training methods. He has kept his fitness at a level that allows him to competitively race his bicycle with minimal training time. Jacques has accomplished this through his understanding of the science of how the human body performs and responds to training. His journey as a Strength & Conditioning Coach. Biggest mistake he has made as a Strength and Conditioning Coach. What prepared him for working with a variety of athletes. His high Intensity Short Rides for preparing distance cyclists. Best piece of advice he has ever received for working with coaches. His favorite quote, Book/App/Website recommendation.